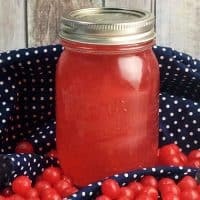 Flavored moonshine is fun to make and tastes incredible. Read on for a collection of amazing moonshine flavors try, from apple pie to cotton candy. While I typically share kid-friendly content on the blog, today I am sharing something special for the grown-up. Although these moonshines look colorful and fun, these are made with alcohol and for adults only (21+). Infusing alcohol with fruit, candy, or other ingredients has become commonly referred to as moonshine. While not “moonshine” in the making your own alcohol in the basement sense, these moonshine are still pretty awesome if you ask me. Quite popular too! 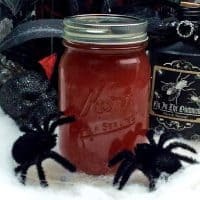 Making homemade flavor infused moonshines is a fun and easy way to make your own unique flavor of liquor. And as you will see, the possibilities are truly endless. 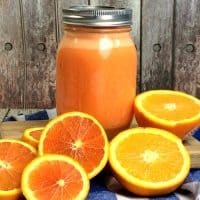 You will find that most of these homemade moonshine recipes are made using a strong grain alcohol such as Everclear or vodka. Some use legal moonshines as their base, which have become more and more common lately. Although typically made in craft distilleries in the south, it is available in liquor stores across America. It is worth noting that although your flavored moonshine may taste sweet and fruity, the stuff is STRONG. It will creep up on you, so be careful and enjoy responsibly. While you can sip your moonshine straight, if you prefer something less strong try mixing it with soda, seltzer water, or another mixer. Serving moonshine shots is these mason jar shot glasses is a great idea for parties as well. 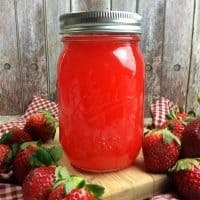 However your drink it, you are going to love these delicious flavored moonshine drinks. Because who doesn't love a strong and delicious adult beverage every once in a while? Just add a bow, a ribbon, or some twine and you have an instant gift. Or, add a jar of moonshine to a moonshine-themed gift basket along with other goodies such as mason jar glasses and coasters for a larger gift. Over 11 of the best homemade moonshine recipes to try. Cotton candy, sour cherry, apple pie moonshine and more. A sweet, puckering sour cherry flavored moonshine made from infusing Everclear, cherry vodka, and sour cherry candies. This stuff is dangerously delicious! Made with moonshine, vanilla vodka, and real apples, this apple pie moonshine is simply incredible. Make a big batch at the beginning of Fall to enjoy all season long. 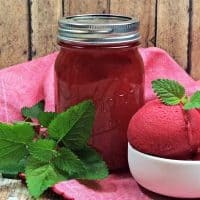 Made with Everclear, raspberries, sugar, mint, and vanilla, this sweet and refreshing homemade moonshine is perfect for summertime. 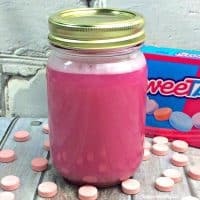 This fun recipe infused Sweet Tart candies in Everclear for an incredible and colorful moonshine. This sweet and spicy moonshine is our #1 moonshine recipe on the site. Our readers love it, and you will too! 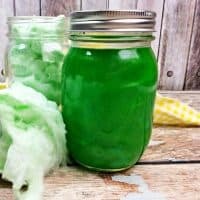 Don't be fooled -- although this bright green moonshine may taste like cotton candy, it is one mighty strong beverage. 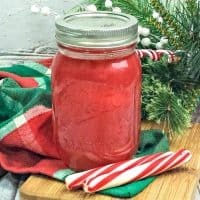 This peppermint flavored moonshine is great for holiday parties. It would make a terrific hostess gift as well. Strawberry-lovers rejoice! This Everclear-based moonshine is sure to be your new favorite. 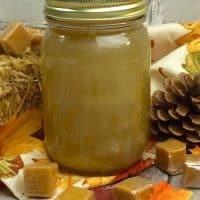 This flavored moonshine is easy to make and has a sweet caramel flavor that is sure to be a crowd pleaser. 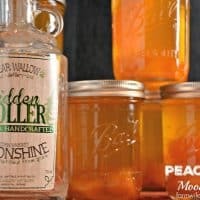 This delicious peach pie flavored moonshine recipe is perfect for sipping on your porch and watching the sunset. This creamy moonshine would be amazing served chilled in the summertime. 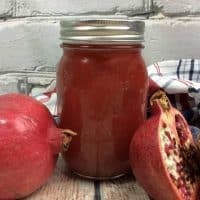 This Everclear based moonshine's fruity flavor will be a hit with any pomegranate lover. Which moonshine recipe are you going to try first? Peach pie looks so good! 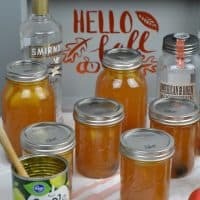 I have NEVER made my own moonshine, but I’d love to try! I grew up on moonshine since I live in KY! These sound like some great recipes.